Riding gear (such as helmets, jackets, and gloves) is probably one of the most important things to consider when purchasing a bike. What’s equally important is choosing the gear that properly fits you. The only way to do that is to try it on yourself. We have limited selection but try to keep a range of sizes to accommodate the daily city rider. 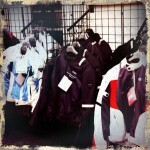 We are very familiar and confident in the styles and brands we carry because we personally ride in them. The importance of wearing a helmet while riding is something that we cannot emphasize enough. They are the single most important item of riding gear. At the very least, you should have a DOT approved helmet – but that is the very least. We will always recommend a full-face helmet, because that will offer the most protection for your head, jaw, and face. There are a wide variety of helmet designs on the market. 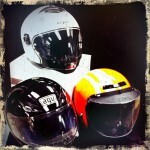 We carry helmets from AGV, Nolan, Scorpion, Z1R, and AFX. Prices generally range from $50-$300. 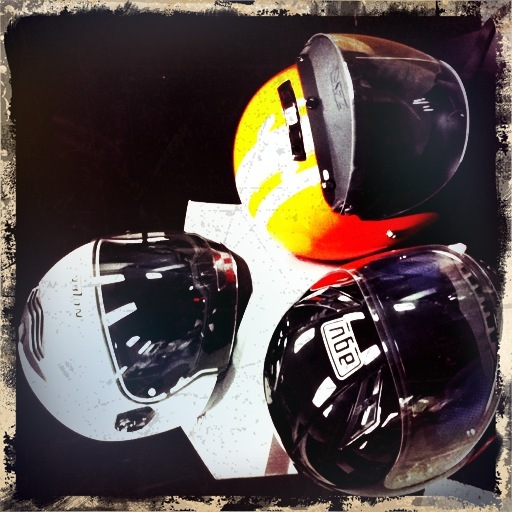 A properly fitting helmet is the most important aspect of choosing the correct helmet. A helmet that is too big will not protect you adequately. A helmet that is too tight will be extremely uncomfortable. Different brands and models can have remarkably various shell shapes and will fit individuals differently. For example, depending on the shape of your head, a large in one type may be too tight in spots, but a medium of another brand will fit extremely well. We will gladly take the time to assist you in finding the correct fit. A good helmet doesn’t necessarily have to be an expensive one. As long as a helmet has passed the various safety standards, it will do it’s job. As with everything, price increases reflect the use of more expensive materials, along with addition of other features, such as improved venting and built-in sun visors. 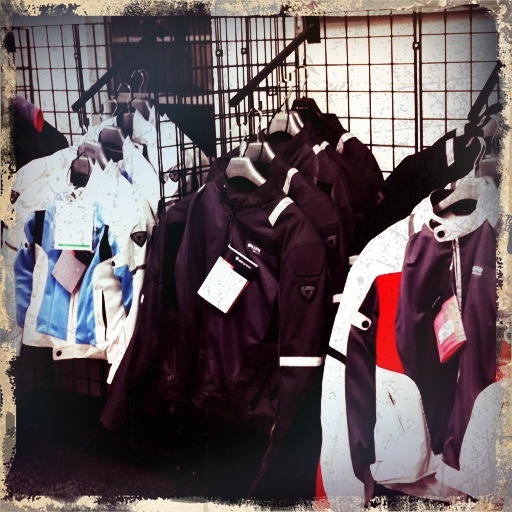 Our selection of riding jackets includes styles from Rev’it, Go-Go Gear, and Alpine Stars. We can usually get you fitted for the best jacket that meets your needs and budget. A good riding jacket will have abrasion resistant material incorporated into it, most have reinforced zones at the more frequent impact areas, such as elbows and shoulders. We carry a variety of styles for all the different seasons including ones that are good for summer (and counter intuitively, keep you cooler than riding without a jacket); jackets that don’t look like riding jackets (and aren’t out of place in social situations); and jackets that keep you warm and dry during the colder seasons. There are a number of considerations to finding the correct fit on a jacket – things like taking layers into account for colder weather and if the armor aligns with the parts it is supposed to protect. It can all be overwhelming, but we are more than happy to assist you in finding a correctly fitting jacket that suits your needs. Take a moment to look at and consider your hands. Think of all the things you do with them. Go ahead; we’ll wait. Probably the only thing you use more than your hands is your brain, which you are going to protect with a helmet right? So, you’ll naturally want to protect those hands, too. Gloves offer your hands protection from the wind, debris, and falls. Many riding gloves have knuckle and finger protection built into them. The armor can be either of the hard or soft variety. Gloves, apart from the protection aspect, also provide the added benefit of helping improve your grip on the controls of your bike. 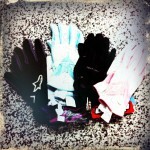 We carry a variety of gloves from Rev’it, Alpine Stars and Go-Go Gear. Our selection includes gloves for a variety of weather conditions from vented ones for the grueling heat of the summer to well insulated ones for the cold despair of winter.